We know your struggle when you try to play your favorite games on a slow laptop computer. For this, we bring you the Intel Core i3 mobile processor. The biggest dilemma of using slow processors is that they do not only slow down your productivity but also are downright frustrating. Replacing these with better quality processors becomes essential. "But why can't I just increase the RAM? ", you might wonder. Even though increasing the RAM does help, but only to a certain extent. How will the RAM help when the CPU itself is slow? Increasing the RAM only helps when you have a fast processor to compliment it. The Intel Core i3 6th generation mobile processors allow fast game streaming, enhanced performance and maximum versatility. Get Intel Core i3 Mobile processors today and start experiencing the speed you've never imagined before. Browse our website for high-quality 6th generation Core i3 processors and select the one that best meets your requirements. The better your productivity is, the prouder we feel. 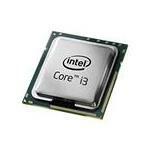 Buy Core i3 processors today and avail free ground shipping on your purchase.